At Brampton Primary Academy our aim is to create a friendly, exciting and inspiring place to learn, where children feel safe and nurtured. We want our children to become brave learners, who are willing to try new things and learn from their mistakes, so that they are able to grow into independent and confident young people, well prepared for the next stage in their education. We are committed to the inclusion of all children. All children, including those with specific learning difficulties, those with physical disabilities, the most able and children with English as an additional language are nurtured through a range of strategies, interventions and support. We want our children to have a variety of experiences and we are committed to following the requirements of the National Curriculum. Part of this is taught through a project based curriculum through our use of the scheme Cornerstones - a broad and balanced, knowledge and skills based curriculum with a creative edge. Comprising of over 80 themed projects and 1000s of lesson ideas mapped to the National Curriculum. Literacy is delivered through the Read Write Inc phonics scheme and Cornerstones. Children’s learning is frequently based upon carefully selected, high quality books and combined with creative teaching approaches, involving for example, art and drama to heighten the experience of reading. The aim of this approach is to engage and motivate children in their literacy learning, to broaden their vocabulary and enable a deeper understanding of texts; in addition it provides a stimulating, meaningful context for writing. A quality text is used as a basis for learning over several weeks. Children explore and discuss the text through creative activities. They also write in a range of genres as part of the unit. For the teaching of mathematics we use a range of resources to supplement our scheme of work. We dedicate a significant amount of time to developing key number concepts each year. This ensures students build their fluency as number sense will affect their success in other areas of mathematics. Building on their knowledge and understanding of number children are challenged to develop their reasoning and problem solving skills. All aspects of our curriculum are supported by a programme of educational visits/school trips and extra-curricular events (a mixture of events held at school, in London and across the country). Parents are advised of the arrangements for these events in advance. Further details are available in the calendar on the website, which is updated on a termly basis. 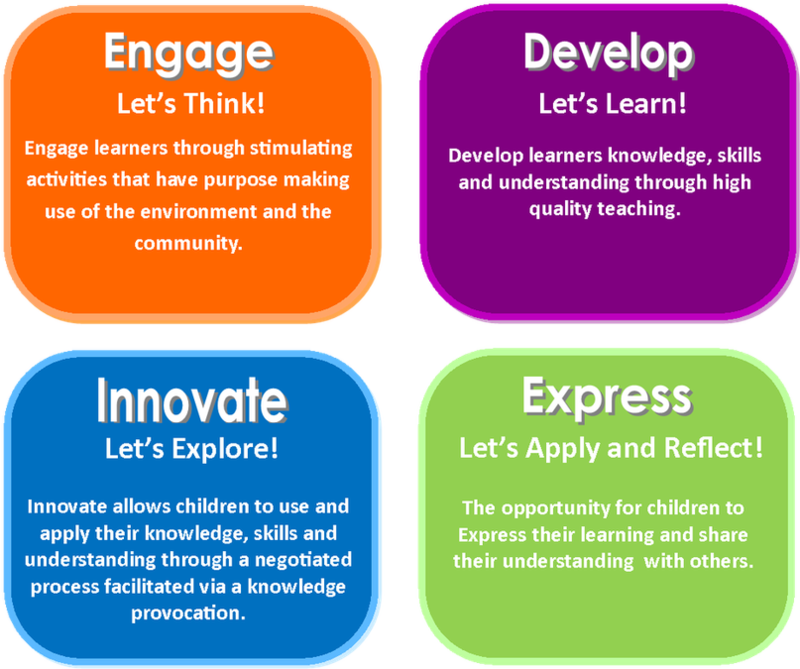 We follow the Bexley Agreed Syllabus for Religious Education (RE) and have reflection time every week to develop children's Personal, Social, Health and Citizenship (PSHCE) skills and understanding.